Focused Community Strategies (FCS) is a 501c(3) organization that empowers neighborhoods to thrive. We invest deeply in one under-resourced Atlanta neighborhood at a time, building upon the neighborhood’s strengths to create a flourishing community. Neighboring, dignity, and development are at the core of everything that we do. Neighboring: We value local living, believing proximity and diversity allow for mutually transformative relationships. Dignity: We value the gifts and abilities of our neighbors, believing as bearers of the image of God they have inherent capacity and are engaged as full participants in bringing about the flourishing of the neighborhood. Development: We value sustainable strategies, believing that lasting impact requires addressing systemic, economic, and structural barriers to flourishing. FCS has been partnering with under-resourced Atlanta neighborhoods for forty years starting with Grant Park, and then Ormewood Park, Summerhill, and East Lake. 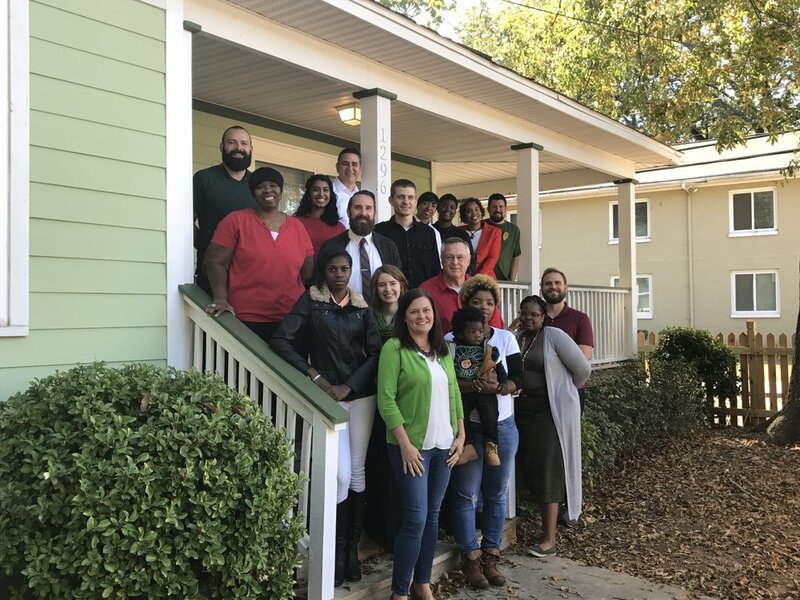 For the past sixteen years we have had the privilege of coming alongside residents of Historic South Atlanta to create a flourishing community through mixed-income housing, economic development, neighborhood engagement, and training and consulting. Since its founding in 1978, FCS has established a national reputation as a multi-faceted community development organization that creates healthy, sustainable, and restorative communities.